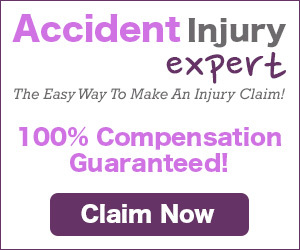 Plans for axing personal injury claims for victims of criminal injury have been scrapped by government ministers. The proposed plan was intended to place a limit on the payments to victims of minor injuries so that only victims who have suffered injuries of a severe nature would be eligible to claim. Last year claims for criminal injuries reached £449 million. If the plan was implemented it is thought that it would have saved taxpayers upto £50 million. However, strong claims had been made against the tory government that reduction in deficit is more important to them than compassion. Rob Flello, the shadow justice minister said "Even contemplating these cuts that would have affected innocent victims of crime shows this Tory-led government is out of touch." "We are on the side of victims and we will oppose this government's policies that threaten their needs." A spokesman for the ministry of justice said: "The government is committed to providing the best possible support for victims of crime, maintaining compensation for the most seriously affected and to reforming the criminal injuries compensation scheme to put it on a sustainable financial footing." "We have listened to the views expressed in Parliament and will now consider our next steps." Only a week before Ken Clarke, Justice secretary, was ejected from his position and Chris Grayling placed. Junior justice minister Helen Grant, who appeared for the first time after her promotion as a former backbencher from the recent cabinet reshuffles said: "We concluded that the scheme needed to focus resources on the victims who are most seriously affected by injuries that they suffer as a result of deliberate violent crime committed in England, Wales and Scotland." "We believe that the provision of support services for victims at the point of need is a much better use of money than providing small amounts of compensation, in some cases long after the incident involved, for relatively minor injuries." "For that reason we are removing payments for less serious injuries such as sprains and fractures." In reply to a debate in the house of commons which was fore fronted by Labour MP Kelvin Hopkins, who said. "To withdraw compensation from these innocent victims of crime goes against the very purpose of criminal injuries compensation and ignores the view held by successive governments for decades that victims of violent crime deserve more than just words. "No one asks to be a victim of crime. Reducing, or removing altogether, the amount of compensation available to those people will send a clear message that the state does not view their injuries as serious or important." In the end, Access to Justice has come down in favour of the victim, re-affirming the decision to drop the plans is a victory for innocent victims of crime.